The educational achievement of white youngsters is nothing to write home about, but that achieved by blacks is nothing less than disgraceful. Let's look at a recent example of an educational outcome all too common. In 2016, in 13 of Baltimore's 39 high schools, not a single student scored proficient on the state's mathematics exam. In six other high schools, only one percent tested proficient in math. In raw numbers, 3,804 Baltimore students took the state's math test, and 14 tested proficient. 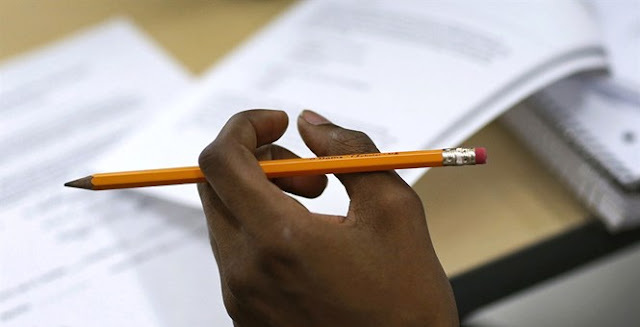 Citywide, only 15 percent of Baltimore students passed the state's English test. Baltimore is by no means unique. It's a small part of the ongoing education disaster for black students across the nation. Baltimore schools are not underfunded. Of the nation's 100 largest school systems, Baltimore schools rank third in spending per pupil. Baltimore's black students receive diplomas that attest that they can function at a 12th-grade level when in fact they may not be able to do so at a seventh- or eighth-grade level. These students and their families have little reason to suspect that their diplomas are fraudulent. Thus, if they cannot land a good job, cannot pass a civil service exam, get poor grades in college and flunk out of college, they will attribute their plight to racism. After all, they have a high school diploma, just as a white person has a high school diploma. In their minds, the only explanation for being treated differently is racism. Let's look at just one endeavor -- being a fighter jet pilot. There are relatively few black fighter jet pilots. There are stringent physical, character and mental requirements that many blacks can meet. But fighter pilots must also have a strong knowledge of air navigation, aircraft operating procedures, flight theory, fluid mechanics and meteorology. The college majors that help prepare undergraduates for a career as a fighter pilot include mathematics, physical science and engineering. What's the NAACP response to educational fraud? At a 2016 meeting, the NAACP's board of directors ratified a resolution that called for a moratorium on charter schools. Among the NAACP's reasons for this were that it wanted charter schools to refrain from "expelling students that public schools have a duty to educate" and "cease to perpetuate de facto segregation of the highest performing children from those whose aspirations may be high but whose talents are not yet as obvious." Baltimore Collegiate School for Boys is a charter school. In 2016, 9 percent of its students scored proficient on the state's math test. This year, over 14 percent did so. It's in the interest of black people for more of our youngsters to attend better schools. However, it's in the interest of the education establishment -- and its handmaidens at the NAACP -- to keep black youngsters in failing public schools. Few people bother to ask whether there's a connection between what goes on at predominantly black high schools and observed outcomes. Violence at many predominantly black schools is so routine that security guards are hired to patrol the hallways. The violence includes assaults on teachers. Some have been knocked out, had their jaws broken and required treatment by psychologists for post-traumatic stress disorder. On top of the violence is gross disorder and disrespect for authority. The puzzling question for me is: How long will black people accept the educational destruction of black youngsters -- something that only benefits the education establishment?